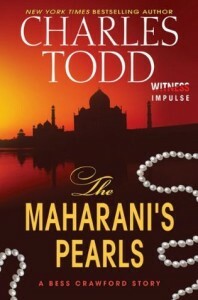 Review: The Maharani’s Pearls by Charles Todd – Escape Reality, Read Fiction! Living with her family in India, young Bess Crawford’s curiosity about this exotic country sometimes leads her into trouble. One day she slips away from the cantonment to visit the famous seer in a nearby village. Before this woman can finish telling her fortune, Bess is summoned back for an afternoon tea with the Maharani, a close friend of her parents’. The seer’s last words are a warning about forthcoming danger that Bess takes as the usual patter. But this visit by the Maharani has ominous overtones that mark it as more than a social call. Her husband has political enemies, and she has come to ask Bess’s father, Major Crawford, for help. This story is a very short episode in the life of World War I Nurse Bess Crawford long before she became a nurse or volunteered to serve in the Army’s Nursing Corps. On the other hand, even as a ten-year-old, it’s still very obvious that Bess has always been very much herself; adventurous, intelligent, headstrong in pursuit of what she believes is the right thing, brave and fairly unflappable. 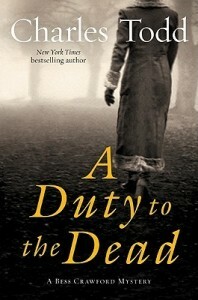 During the main sequence of the stories that chronicle her wartime career (start with A Duty to the Dead) Bess exhibits the same traits as an adult that show up in this brief story from her childhood. Bess’ often remembers her childhood in India, both for the relative freedom she enjoyed and for the cosmopolitan outlook that growing up slightly outside the strictures of life back in England. She has more experience of more different types and backgrounds of people than most women her age. She’s also much more independent than usual for the era, because she has that broader experience. In A Question of Honor (reviewed here) we see some of Bess’ memories of life in the Raj, and also discover the fate of some of the children whose parents sent them back home while they continued their service. Bess discovers just how much she has to be grateful for, that her parents, a high-ranking officer and his wife, kept her with them. But in her childhood, Bess was already an intrepid explorer and someone who only obeyed the rules when it suited her. In the case of the Maharani’s pearls, Bess’ desire to push at the boundaries results in her being in the right place at the right time to save a life, and perhaps help maintain the British presence in India on a relatively peaceful basis. Escape Rating B+: The Maharani’s Pearls is a very short story. While I certainly enjoyed the glimpse of Bess as a child, the story also introduced a few more mysteries about the people around her. Her father’s willingness to listen to her story and take action on information that some might have claimed was a child’s imagining explained a lot about the way she was raised and how much she feels she needs to take action when things go wrong. Child Bess made a ton of references to her father’s batman, Simon Brandon, and his mysterious origins. Simon, his service, his career and his place in her family’s life has been extremely mysterious from the very first book. It was to be hoped that this earlier glimpse of him might clear up some of the mysteries. Instead, it just makes his past even murkier. 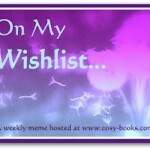 Still I can’t wait for the next book in the main series, An Unwilling Accomplice. 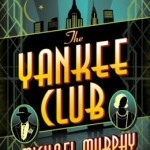 This entire series does well at both evoking the era and providing a page-turning mystery. 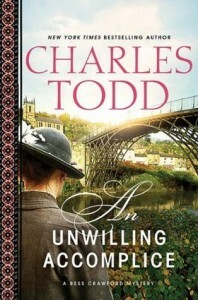 Pingback: Review: An Unwilling Accomplice by Charles Todd | Escape Reality, Read Fiction!